Martin Towner started out as a physicist, but moved into planetary science because it’s the closest he can get to being an astronaut. 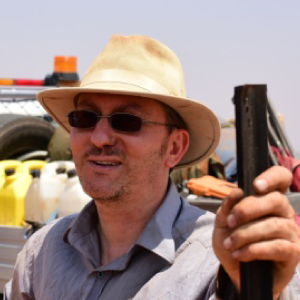 He project manages the network, and tries to keep everything running, as well as working on design of new camera systems, and occasionally get out on fieldwork. Martin finished his PhD in 1995 from the University of Bristol, and since then worked first in industry before returning to academia to work on things like building spacecraft instruments, including on the ill-fated Beagle 2 Mars lander. He started working on the DFN in 2008, and moved to Australia in 2013.